What Are The Costs of Inpatient Rehab? Inpatient rehab can be a costly endeavor. The average cost is around $700 per day which is often a barrier to treatment for those who struggle with addiction. The price point depends on the duration of stay and type of program. Some insurance programs cover inpatient rehab, depending on the health coverage. The costs associated with inpatient rehab vary from center to center. Inpatient treatment cost can be as low as a few thousand dollars for a 28 day program up towards tens of thousands of dollars. The true cost, however, is more about what happens to an individual who is not able to afford treatment. This can lead to severe health consequences down the road. It is possible to deduct expenses paid in a financial year for medical care related to inpatient rehab for addiction recovery. Medical expenses such as treatment costs, doctor fees or health insurance premiums may be tax deductible which can help come tax time. Depending on insurance companies and plans, health insurance providers view addiction treatment differently. Many insurance companies set limits on how many days of treatment will be covered or level of treatment covered. Some insurers only cover part of the cost. Treatment options to aid in recovery may be limited to facilities that accept payment through the insurance company. Medicare has criteria that must be met prior to coverage being approved so it is helpful to check with Medicare plan prior to checking in for inpatient rehab. Inpatient rehab is rarely free because of all the expenses involved. Residential costs of room and board can add up quickly. Applications for low cost or very low cost inpatient rehab through state funded substance abuse referral programs may be available. The process requires follow up and tenacity to check into available programs. 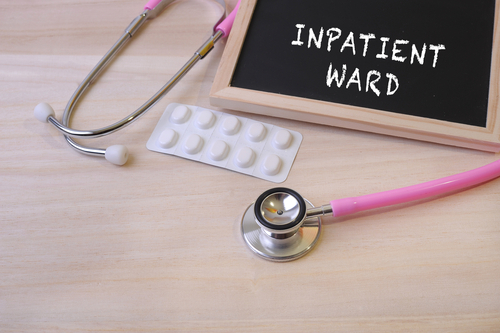 Inpatient centers may offer sliding scale fee. This means the person may be able to pay for treatment at a lower cost based on affordability. Admissions offers usually complete a financial assessment prior to lowering prices for rehab. Bank statements or pay stubs may be required to verify income. The biggest question referring to inpatient rehab for people with addiction and family members is often cost. Although it may seem outrageous to some people, there are many costs to consider when checking a person into a rehab facility. Some alternatives exist but it is important to figure out what it will cost prior to checking in as it will save time and money in the long run. There are many options available to make it more affordable and, with a little checking up, could actually provide just the right opportunity to help your loved one get the help needed to beat addiction for good. Hired Power can help you find the perfect program to fit all of your needs. Call us at 714-559-3919 to find out how we can help you get started on the path to recovery.